Meet Jabba, our friendly neighbourhood toad, which turned up in our yard one day. Living in rural France you come across quite a few creatures and wildlife that aren’t so common in the UK. 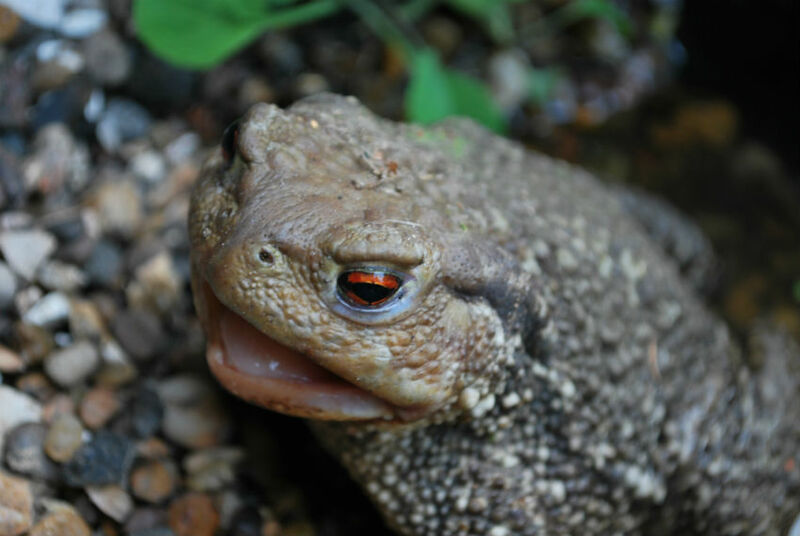 Yes, I agree you do get toads roaming around the gardens and ponds of the British countryside, but to be honest we’d never come across a toad quite this big before. We’re incredibly lucky to be living in the French countryside. We’ve had redstarts and grey wagtails nesting in our courtyard this year. We get red squirrels popping by on the roof of our barn and we even have orchids growing wild in the garden. On top of that we’re on the migratory path of the common crane, so every year we see them flying north for the summer and return south for the winter; it’s a beautiful sight. Apart from that we get to visit the rural sights and hidden gems of France of course, when everyone else either goes to Paris or the south of the country. It’s lovely to discover places of history we would never know about otherwise, or see countryside we would never have imagined. Returning to our smiley friend above, you may ask why Jabba? Well all you Star Wars fans should know; he reminded us fondly of the Hutt crime lord – I think it was the gaping mouth! – and so the name has stuck ever since, though I don’t expect we’ll be seeing this chap in JJ Abrams’ film. The photo came out so well that I turned it into a mouse pad in my Zazzle store which joined a few other of my photos from around the area. Take a look if you want. You can find me here. Otherwise you may like to join me on the website Dreya’s World, where I write articles, blog and share photos about my life. What a wonderful photo of the toad!! I think you captured his best side. Your Jabba toad seems perfectly poised for capture by your camera! As a child I was captivated by toads and frogs. Now I’m a bit wary since many are poisonous.